Rapunzel and Merida have posed interesting hair dilemmas. 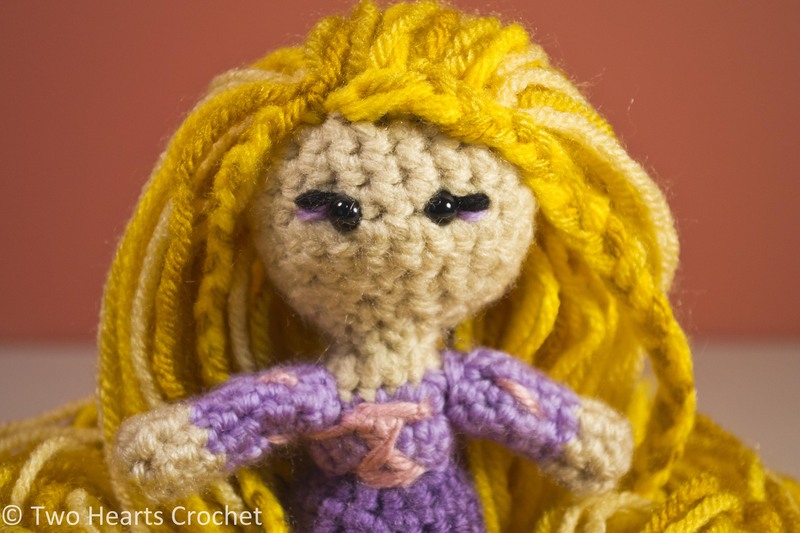 Until I had made Rapunzel, each of my Disney princess dolls had hair that was made up of crocheted pieces and then sewn to the head. Obviously, that wasn’t going to work for either of these two. So after a bit of research, I finally came across a method that works beautifully for doll hair, and I’m so excited to share it with you! This method involves hooking pieces of yarns through either a hair cap piece or through the top of the doll’s head. The result is a beautiful head of hair that can be styled however you want! 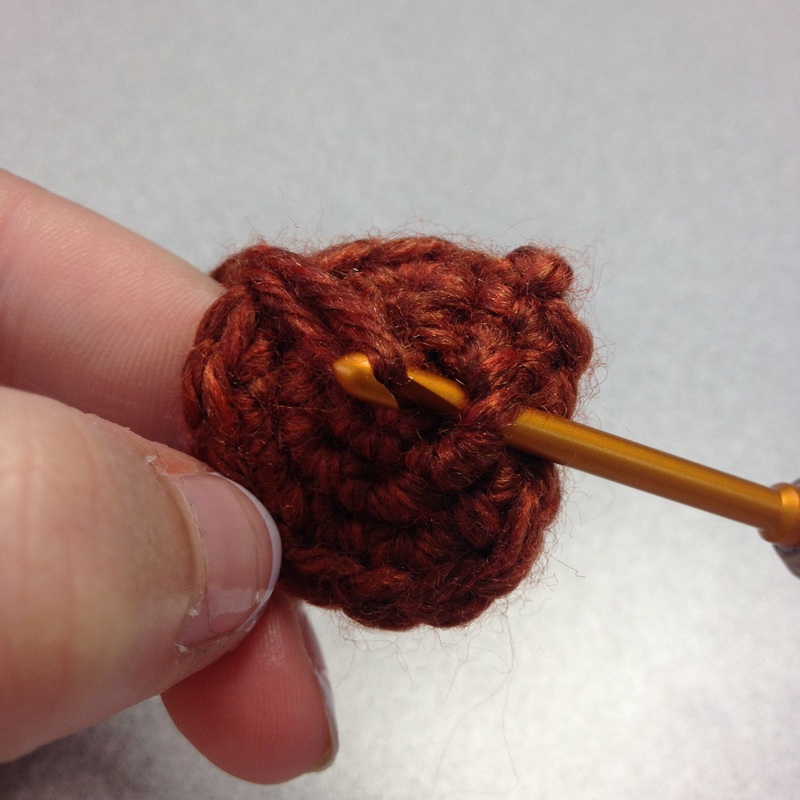 You will need a cap piece (you can substitute the doll’s head), several strands of yarn, and a small crochet hook. Insert your hook into a stitch in the doll’s head or in the cap piece. 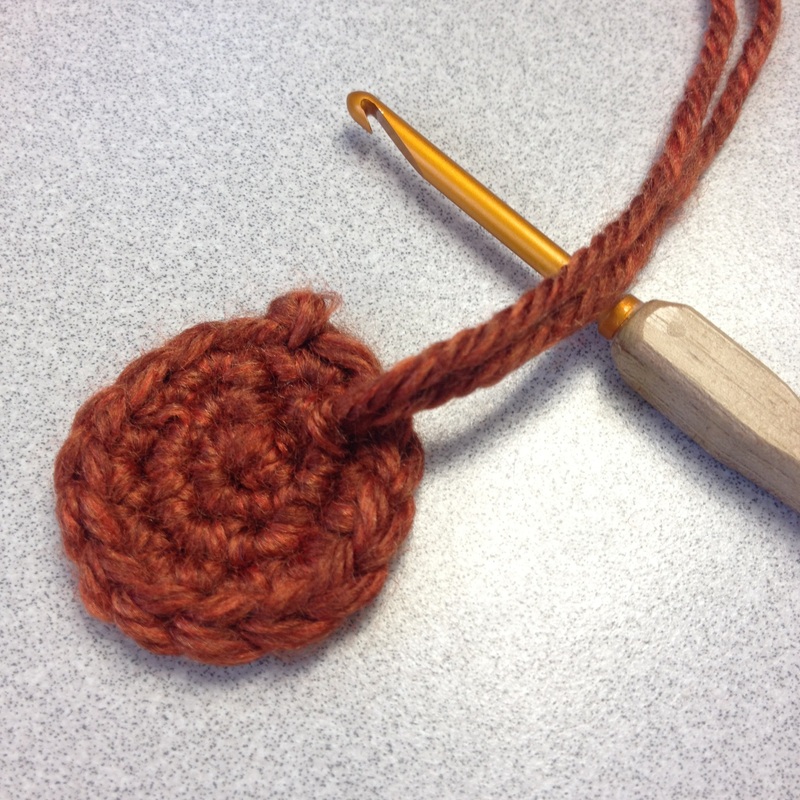 Fold a strand of yarn in half, forming a loop on the end. Place this loop around your hook. 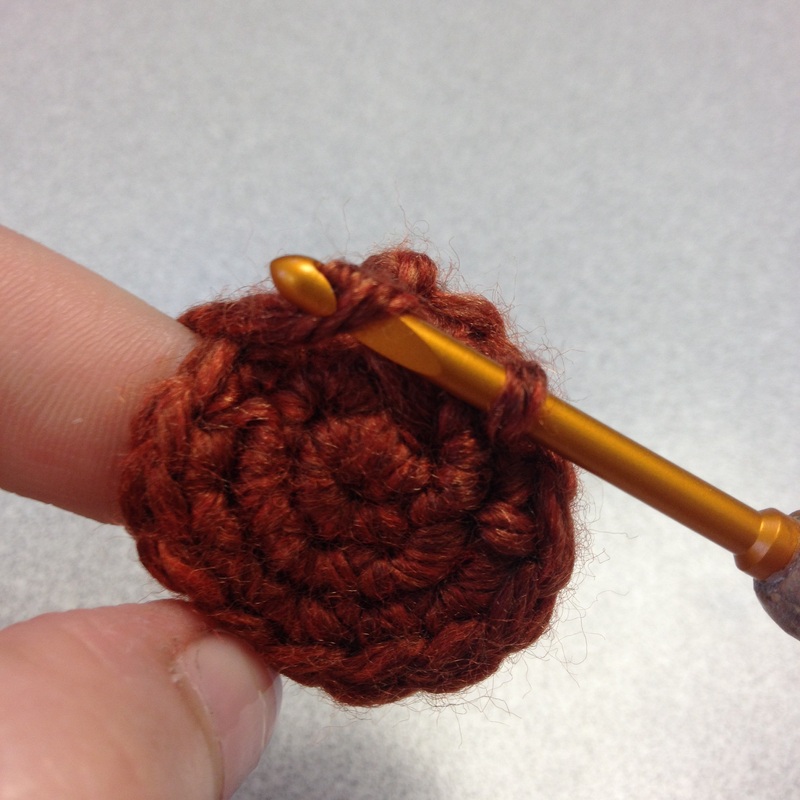 Pull the loop through the stitch in the cap piece. Yarn over, wrapping both strands of yarn together around the hook. 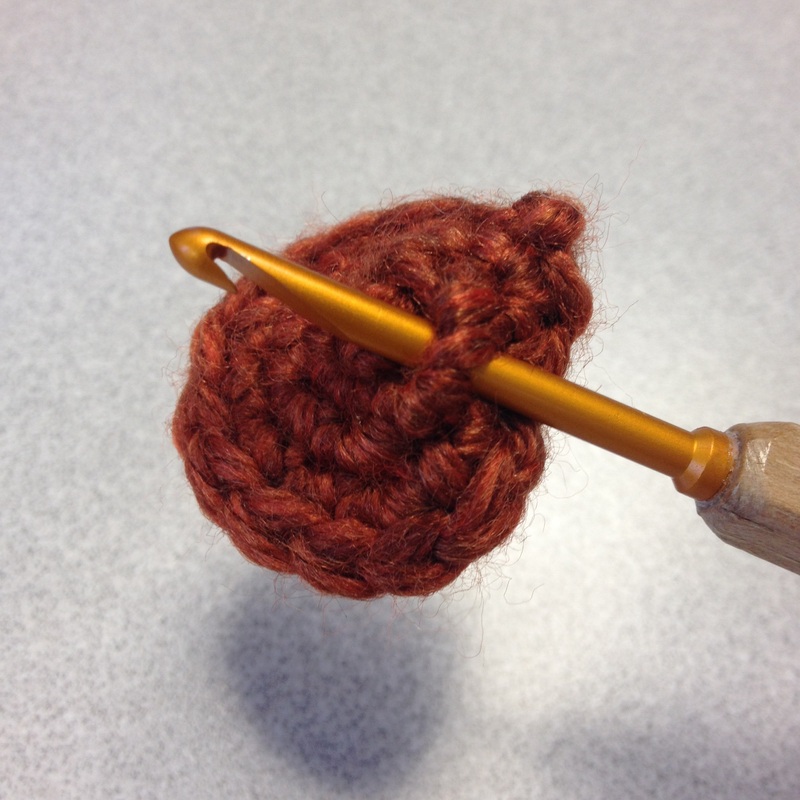 Pull the strands through the loop, essentially making a chain stitch with both strands. 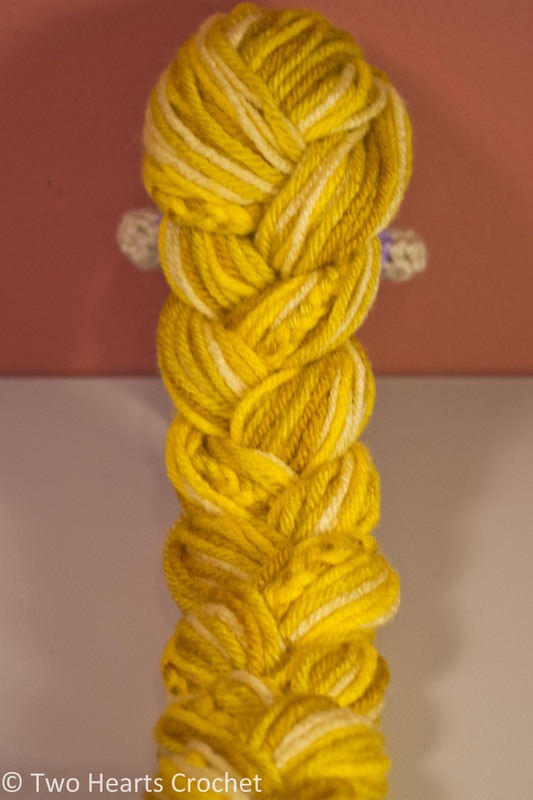 This knots the yarn at the base of the cap piece. 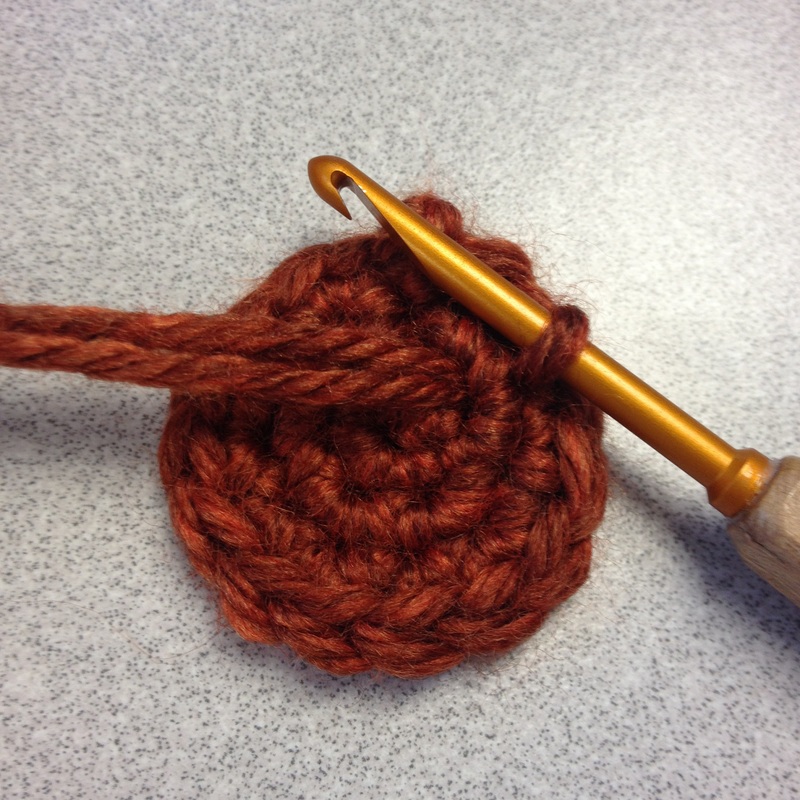 Repeat several times until the yarn fills the cap piece or fills the space desired. Then trim and style away! This method is really great for when you are making doll hair that just won’t work any other way. 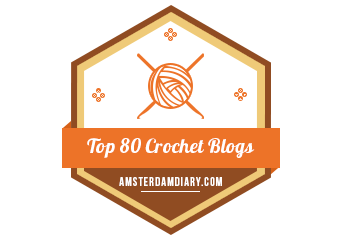 It’s also pretty secure–when you pull on the yarn ends, they just tighten in the knot! Pretty nifty, right? For Rapunzel, I braided her hair and tied it with a bow. 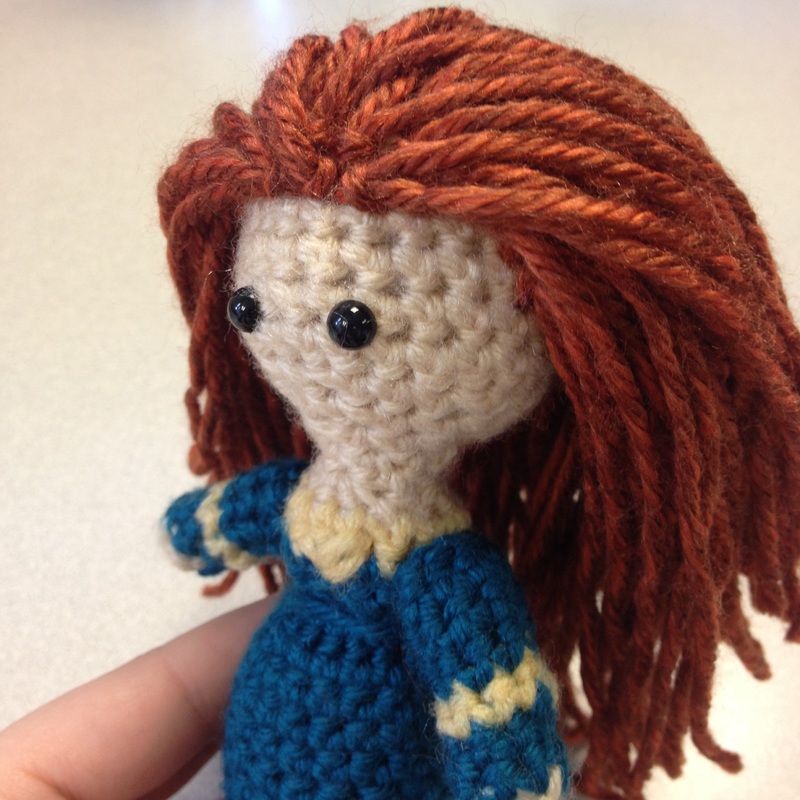 But for Merida, I need her hair to be large and wild, so I plan to let it be loose and free. What do you think? Questions? Comments? Let me know!